A new peer-driven initiative aims to give would-be Mobile area entrepreneurs a boost over some of the most common startup hurdles. New Business Outreach was created to help local small businesses – including emerging, minority and women-owned ventures – achieve their full potential through dedicated networking, education and mentorship. The initiative is a cooperative effort of the Mobile Area Chamber of Commerce, Small Business Alliance, Alabama Small Business Development Center and the Women’s Business Alliance to name only a few. “New Business Outreach will arm these new entrepreneurs with actionable information and help them to meet the right network of other business owners,” said J.C. Smith, a founder of the new program. Smith, managing partner of Mobile-based WebSouthEast, is a recent graduate of the inaugural class of the invitation-only 1702, a chamber-backed peer network of chief executive officers and business leaders from the most promising emerging and high-growth companies across the Port City’s technology, manufacturing, aerospace and consumer sectors. New Business Outreach will help Mobile entrepreneurs avoid some of the common pitfalls of startup businesses. For instance, the most recent meeting, “Tax Pitfalls that New Businesses Need to Be Aware Of,” featured CPAs Karen Simmons, owner of Karen Simmons PC, and Bob Slaby, manager at Wilkins Miller. The next meeting, “Determining the Best Legal Structure for New Startups,” is slated for April 6. “You know the old saying ‘learning from others’ mistakes’? That is a terrific benefit of this program. Many new business owners ‘don’t know what they don’t know,’ so having access to someone who’s been there before can help them avoid some early, and many times, costly mistakes,” Richards said. Those pitfalls, Smith said, are exactly what inspired the creation of New Business Outreach. “In my experience, often time the biggest (startup) hurdle is finding the capital needed to realistically get the project off the ground and finding the right investment group that sees the value in what we were doing,” he said. In turn, the first meeting focused on capital formation and answered questions such as how to find investor funding as well as bank funding, while the education session provided entrepreneurs with a checklist of information needed and insight into what banks and investors look for in making a determination as to whether a venture is worthy of capitalization. 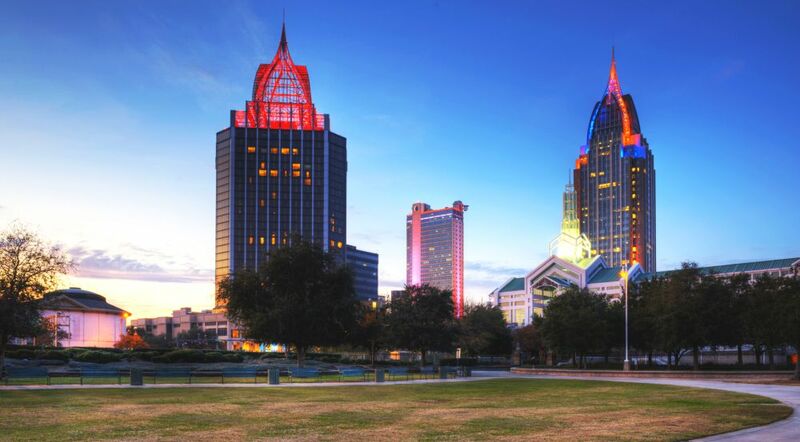 “Mobile’s small business climate is enthusiastic and positive. New entrepreneurs are eager to get their ideas off the ground. We are hopeful that the New Business Outreach program will aid new entrepreneurs by helping them meet the right network of people, provide education from top-notch experts in each field from the local business community and mentorship opportunities will arise from the interactions with seasoned business professionals,” Smith said. Richards agreed Mobile’s small business climate is definitely gaining momentum. “There is a buzz, and we’re seeing more activity – both with new interest in starting businesses, and also with existing companies looking for growth opportunities by exploring current gaps in local supplies or expanding with new products,” she said. The bottom line, Smith said, is that new business owners have nothing to lose by giving the program a shot.